Cinema is all about experiments, fresh concepts and storytelling but when it has to survive then business is a must. And for doing business, even cinema has some set formulas which filmmakers use again and again. Sometimes, a single film is remade multiple times because it becomes so successful that everyone wants to replicate it. Here are some Bollywood films which were actually remakes of some regional films. And the same story was remade in multiple languages. Bollywood film Drishyam released in 2015 and had Ajay Devgn, Shriya Saran, Tabu, Ishita Dutta and Rajat Kapoor in important roles. The film was directed by Nishikant Kamat and won a lot of accolades for itself. Son Of Sardaar starring Ajay Devgn, Sonakshi Sinha and Sanjay Dutt in lead released in 2012. The film proved to be a Hit at Box Office. Singham directed by Rohit Shetty and starring Ajay Devgn, Kajal Aggarwal and Prakash Raj was a Super Hit Bollywood film. Bodyguard starring Salman Khan & Kareena Kapoor in lead released in 2010. The film was a Blockbuster. The popular and Hit Horror comedy had Akshay Kumar, Vidya Balan, Shiny Ahuja, Ameesha Patel in important roles. The 1999 Bollywood film had Anil Kapoor and Kajol in lead roles. 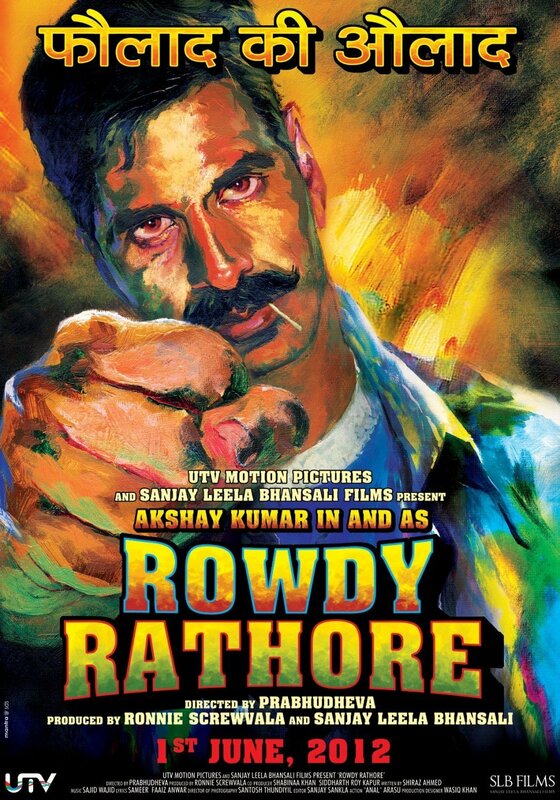 Rowdy Rathore starring Akshay Kumar and Sonakshi Sinha in lead was a highly successful Bollywood film released in 2012. Dhadak is the remake of Sairat that is slated to release in July this year. The film marks the Bollywood debut of Sridevi’s daughter Janhvi Kapoor and stars Ishaan Khatter opposite her. Tamil and Telugu versions of Sairat are also in queue. Which is your favourite film among these?